The Croquet Federation of Belgium (CFB) was created in 1996 by John Swabey and Charles-Eric Vilain XIIII, amongst others. It allows players affiliated to a Belgian club to participate in international tournaments and it selects players for the World Championships and European Championships in Golf Croquet and Association Croquet. 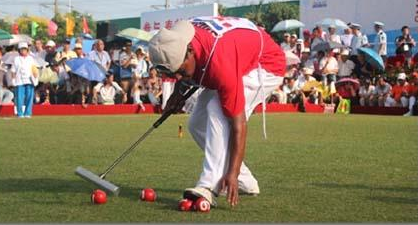 As a member of the World Croquet Federation (WCF) we receive help for purchase of equipment, coaching sessions, a site developed to display the results of tournaments, and the ranking of players and teams in tournament play. 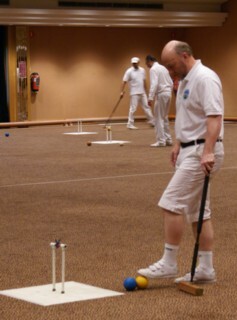 Each year, the Croquet Federation of Belgium organizes the Belgian Championships. All club members are eligible to register. 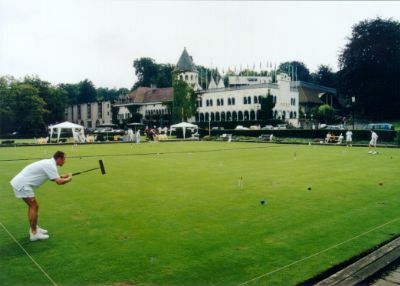 The Croquet Federation of Belgium has organized several OPEN tournaments at Genval and is one of the few countries in the world that offers a regular OPEN indoor tournament in the Château du Lac in Genval. Since end of 2012, the Croquet Federation of Belgium receives support from the World Gateball Union (WGU) for the promotion and organization of gateball-tournaments. It has several sets that can be loaned to clubs, schools, wishing to learn the sport. Belgium has recently been awarded a silver medal at the World Golf Croquet Team Championships in Egypt. We were narrowly beaten in the final by Wales. (http://www.croquetscores.com/2012/gc/wcf-world-team-championship-div-2/wales-vs-belgium) Pierre Beaudry is the best-ranked Belgian player and one of the best-ranked Europeans.